Nicole Aloni had a lot of heartbreak. Her acting dreams were dashed early on. Her business collapsed, and her 35 employees’ jobs with it. Her husband of 20 years died a slow and early death. She lost one home, then another. And, after her happy realization she could combine her loves of food and acting, the Food Network still paid her no mind. She had plenty of successes, too — those that in turn would take her to places where the failures felt like catastrophic losses, rather than mere setbacks. She built a successful marriage, home, businesses, and chef career, including cooking and catering for the rich and famous. But acting remained her true passion, deferred. 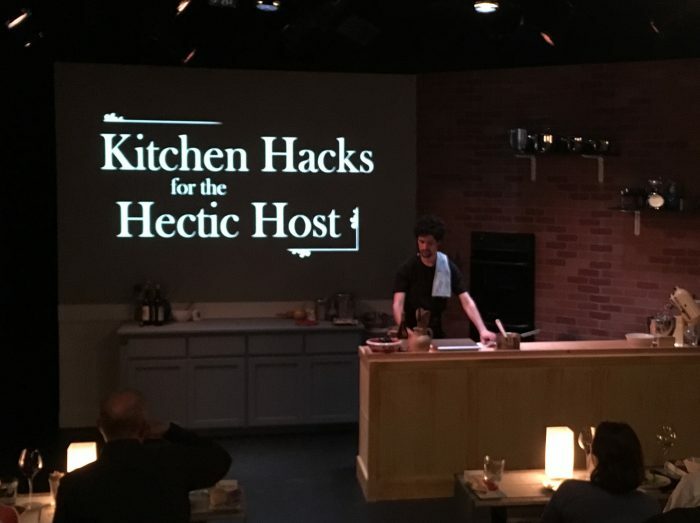 In Le Grand Fromage (“the big cheese,” harkening back to the self-confidence she possessed as an actor in her youth), Aloni tells her stories through a mock cooking show, in which she purports to give “kitchen hacks for the hectic host” (the fake show’s title). It seems that she’s looking for the life hacks as much as anyone. She tells “viewers” how her dashed dreams in performance at UCLA led her to culinary school; her first out-of-school job as a personal chef in a castle-chateau in France (where she couldn’t figure out how to light the stove, and her first guests included Julia Child); her many glamorous (Celebrities! Royalty! Awards shows!) and not-so-glamorous (“20 Ways to Make Super Bowl Nachos”!) culinary jobs since then; how her husband took her back to France, on a soaring culinary tour that dreams are made of; and how success can be lost many times over, but the stories and experience remain. 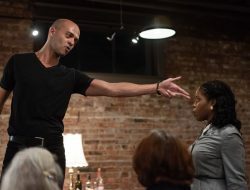 Much of Aloni’s story tells of the arc between self-doubt (instilled when a drama teacher tells her during a class audition that she’ll never perform, then reinforced many times over) and the boldness to follow her passions (chiefly acting and cooking), while trusting that she can survive on their proceeds. Aloni’s stories are told in a long-form, detail-rich sort of arc, and she’s an engaging storyteller — you want to follow her wherever she takes you, which, it turns out, is all over the world, among lots of interesting people. 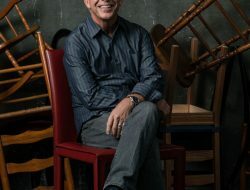 The cooking show, meanwhile, is a primarily a device: a device of plot in that it gives a plausible reason for someone to be there listening, and a device of form in that it keeps the action lively and adds some intrigue and humor. It also gives reason to introduce another character, the cute sous chef named Frenchie, who makes appearances throughout in order to do the real cooking labor like most TV assistants seem to do on these shows. If practical cooking tips are what you go for — or food, for that matter — you’ll be sorely disappointed. And therein lies the main opportunity for some reworking: keep the stories, arc and personalities, but add the food to the forefront, rather than as an afterthought. While West of Lenin’s flexible space served the production well (and the set design was great), this sort of cooking-while-storytelling lends itself better to a fully integrated food-and-theatre production like Cafe Nordo creates — with the finished products marched out from the kitchen at their appointed times, so audience members can dig in when the demonstration piece is completed on stage. This sort of food-theatre integration was the premise of the “red carpet experience” at Aloni’s show (offered for up to eight people, at the hefty price of $65 per ticket), but it appeared to be far from fully integrated. As Aloni created a huge cheese souffle, bacon-wrapped pate, gougeres, and a lemon tart in her on-stage kitchen, the front row had what appeared to be a starter of charcuterie, wine and, eventually, lemon tart. 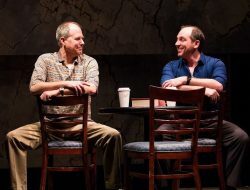 Dinner + Aloni’s show make for a tasty, charming night out. Maybe one day, they’ll be combined in the same room. 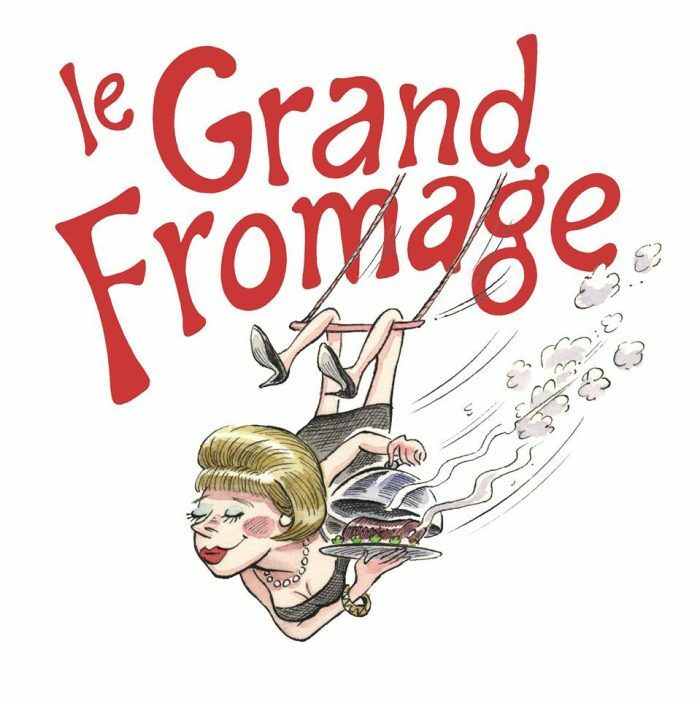 Le Grand Fromage runs through 6/15 at West of Lenin, in Fremont (8 pm Thursday-Saturday, 2:30 Sunday). Tickets $20, available here.